September is the perfect time to travel to Slovakia… the summer tourist season is over: warm days turn into cool evenings; the fruit and nut trees lining the roads are bountiful; fields of sunflowers and corn are ready for harvest; and the grapes are picked and slowly fermenting to Burčiak, the new wine… a main-stay of the many fall festivals that spring up in cities and villages across the countryside. For Slovaks, it’s a time to gather outdoors, to dance, and celebrate traditional customs as well as new ways. 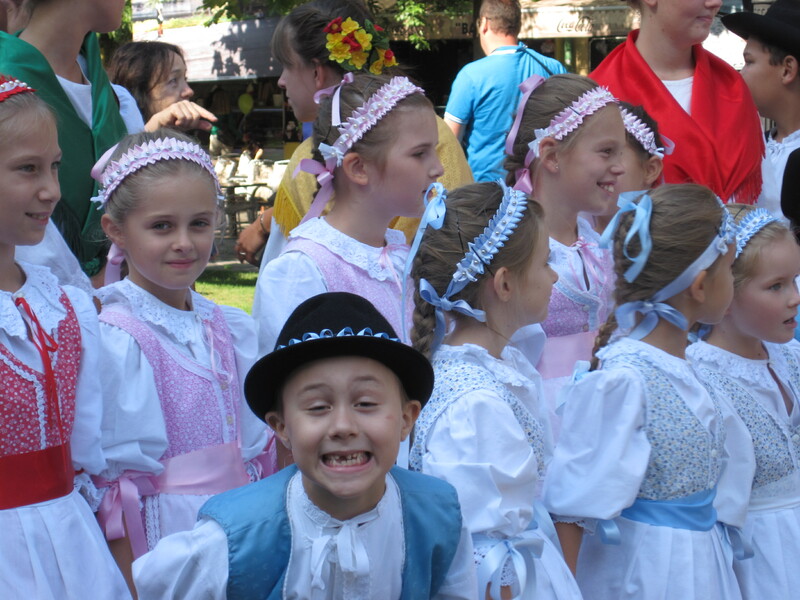 In the spirit of our county fairs, the Fall Festivals bring out extended families, all ages, to renew ancient craft and music traditions as well as enjoy today’s pop culture. – Radvanský Jarmok, Banská Bystrica. 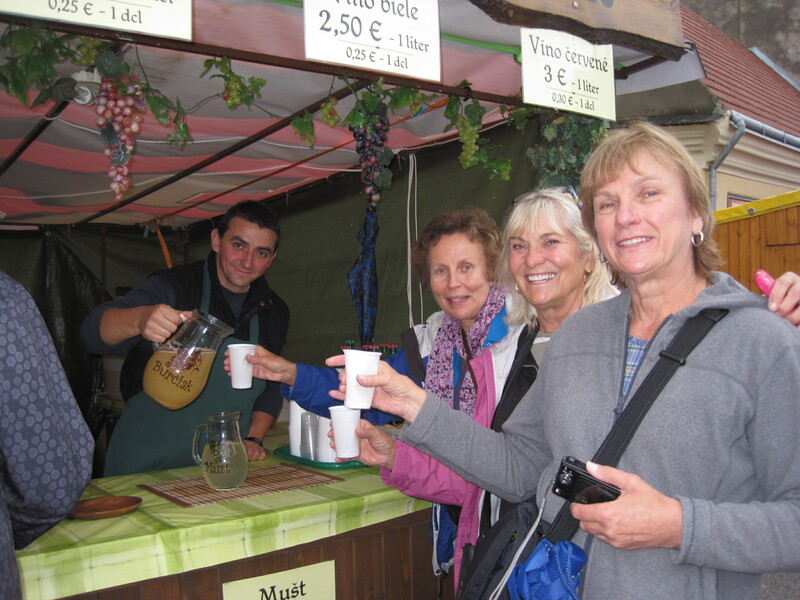 The Slovakia Heritage Tour group will be in town for this 360th Market Celebration of the harvest which fills the beautiful central square of this central Slovakia city, Unlike the summer craft and music festivals which focus on tradition, the Harvest Festivals brim with life, blending deep folk art and music traditions with modern ways. 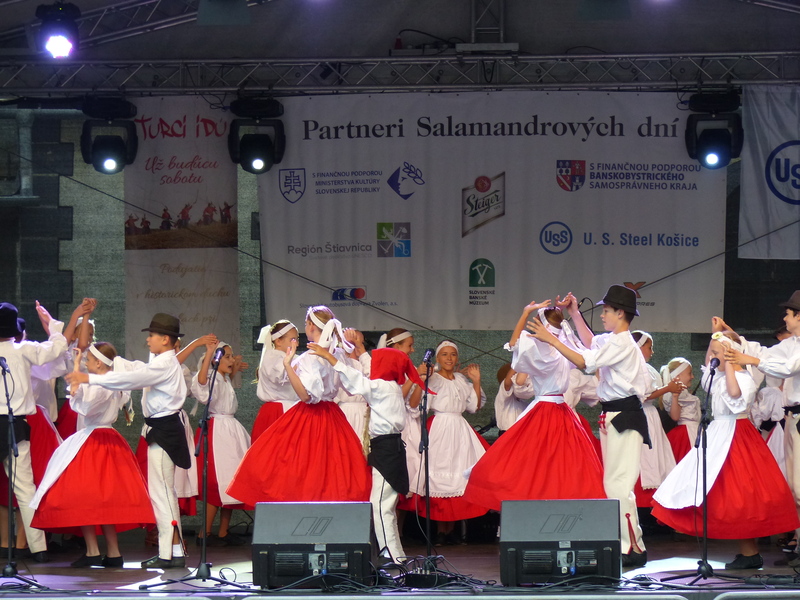 On stage, a group of village folk dancers perform with the traditional violins, accordions and cymbal followed by a local teenage hip-hop group. In the many craft booths, a traditional woodworker demonstrates his crafts and wares next to a contemporary jewelry booth. – Modra Wine Festival. Dating back to the 13th century, the Modra Festival celebrates the long history of vineyards and wine production in the small Carpathian Mountain region, a short drive from Bratislava. 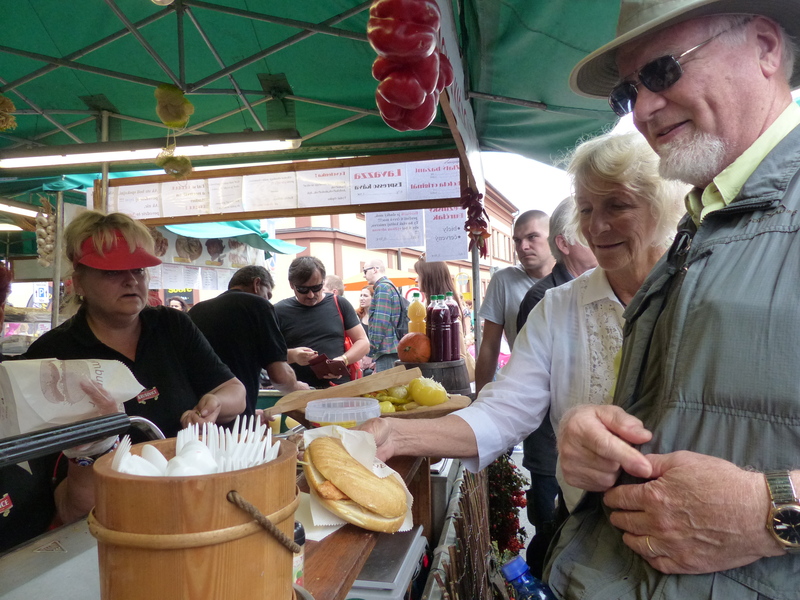 Travelers soon find themselves elbow-to-elbow with Slovak families at long tables, sampling lokša, guláš, a wide variety of grilled meats, sausages and onions, and other festival specialities. Lokša, a potato pancake made with goose fat, comes in a dizzying array of flavors… hazelnut, apricot, poppy-seed and many more. And all the hearty food is washed down with local beer and the new wine, Burčiak. Na zdravie ! Loksa comes in many flavors. Traditional dance and pop music fills the air. 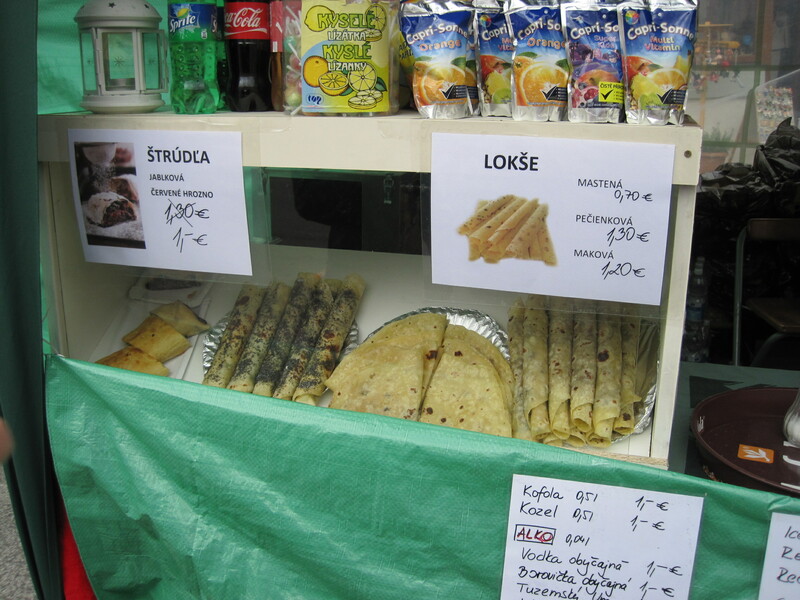 Sample local delicacies for lunch. 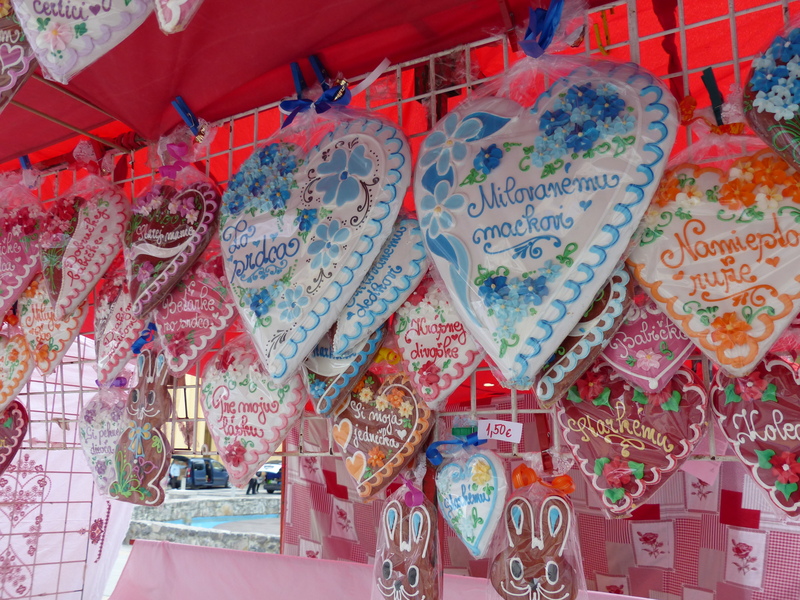 Popular gingerbread cookies are a good way to practice your Slovak. Join us to discover your Slovak roots and celebrate the September harvest on the small-group 2018 Slovakia Heritage Tour. You can see the detailed itinerary and all the information on our web site www.slovakiaheritage.com , or call or email Judith Northup-Bennett, Slovakia Heritage Tours at 978-544-5144 or slovakiaheritagetours@gmail.com to discuss your personal travel plans. Previous Previous post: Top 13 medieval towns in Slovakia every history buff should visit!